Kirin is a Japanese beverages company. 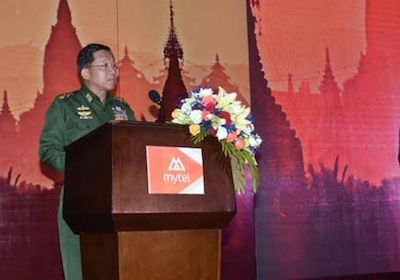 In Burma it is in a joint venture, Myanmar Breweries, with the Union of Myanmar Economic Holdings, which is controlled by and for the benefit of the military. This subsidiary has also donated money to the Burmese military. In the UK, Kirin own the craft brewery Fourpure.